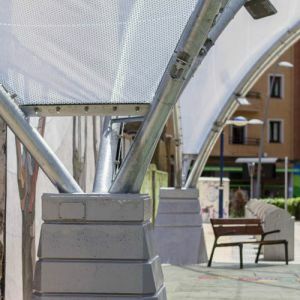 The project entails making a covered public space and the pedestrianization of Askondo Street (Irrueta). 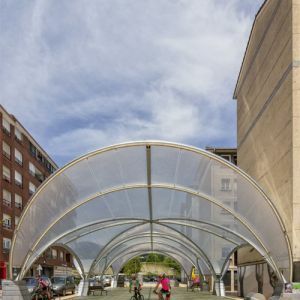 One of the main elements of the project is the transparent covering located in the cross-section of the street. 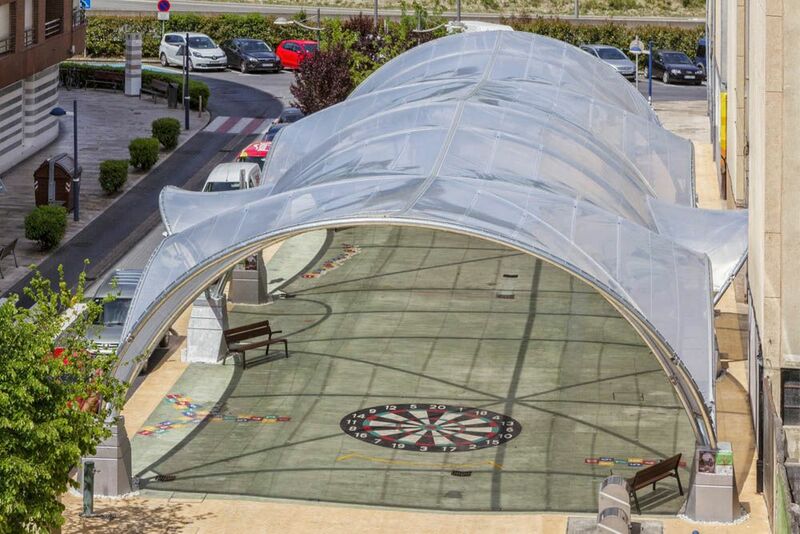 The intent is to create a neighbourhood meeting space, where events can be held, thus being a playful space at the service of the people. 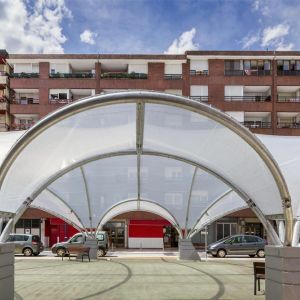 The covering is a metal structure with a rectangular floor plan, with total, measurements of 12 mx36 m and a maximum height of 5.75 m. The construction has symmetry on both axes and is composed of arches that rise from concrete supports of 1.2 m in height. 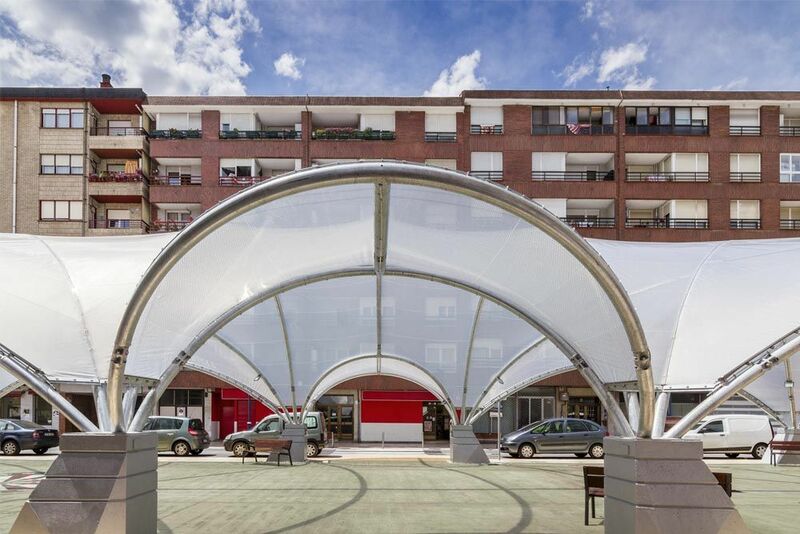 The membrane is made with a tensioned ETFE monolayer sheet system. 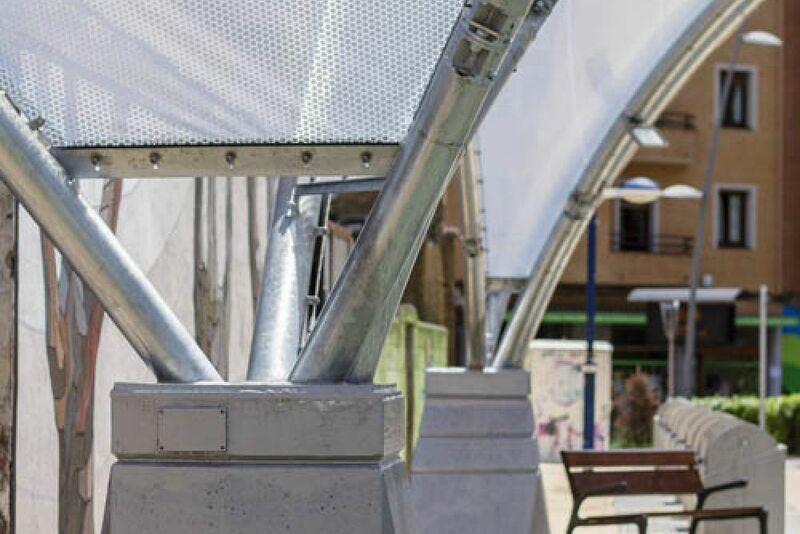 The metal structure is constructed with tubular sections and on-site screw connections. 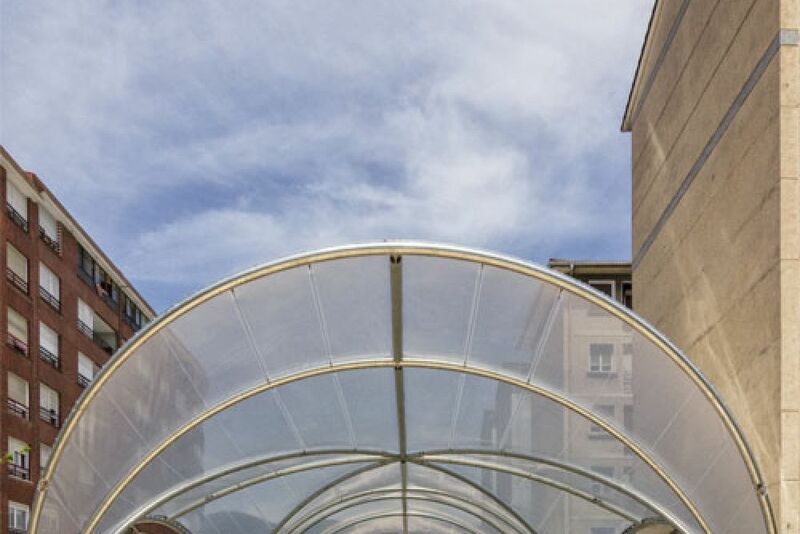 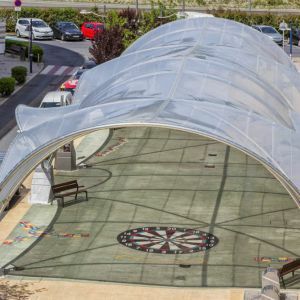 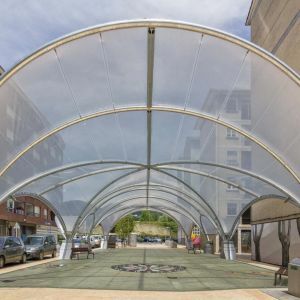 The ETFE sheet is printed with a silver coloured dot design, with the aim of improving interior comfort, while maintaining the transparency of the covering. 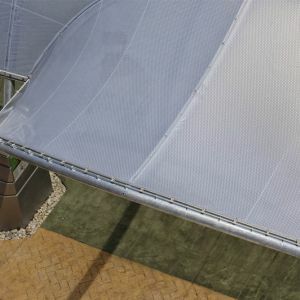 In addition, cables are added to reinforce the membrane at the most demanding points. 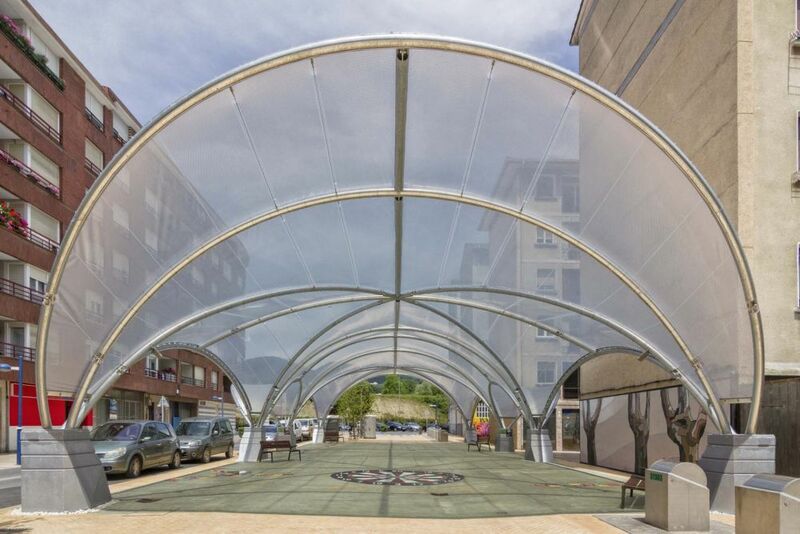 A lateral enclosure is also planned to protect against inclement weather. 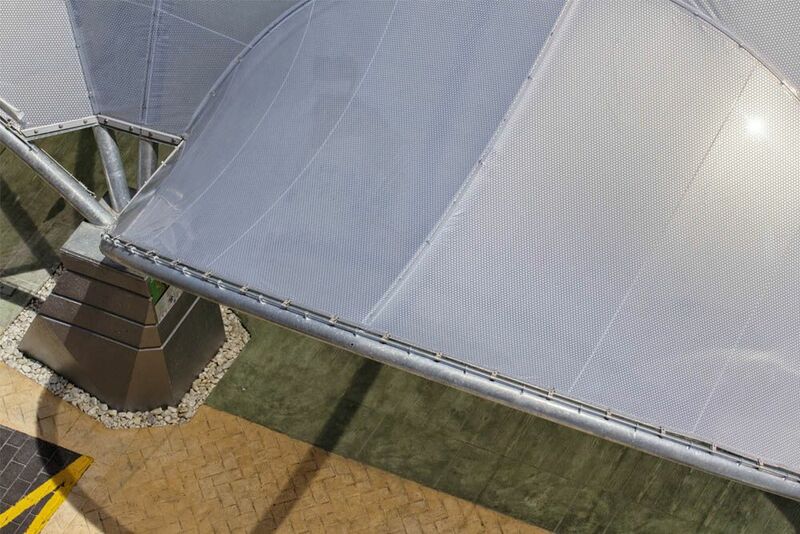 The vertical canvases are removable and are made with an FT381 mesh fabric from the Ferrari company.